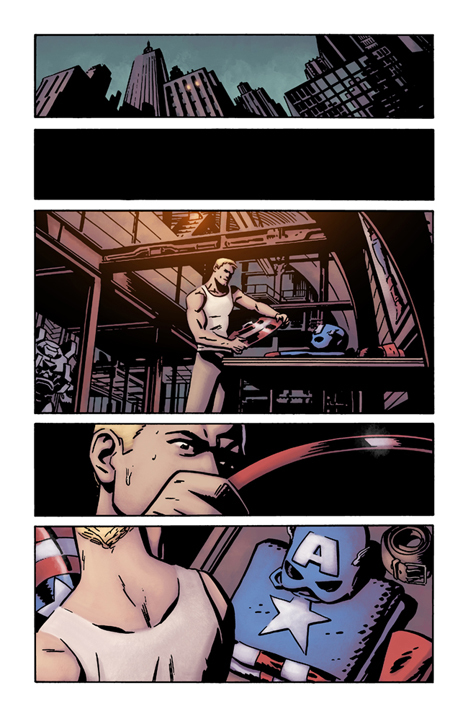 Oh, I also did this Chris Samnee Cap page for PnP (I’m coining that by the way) last week. Tried for something a bit more painterly with Chris stuff than he’s usually colored. I think it’s fairly successful, although seeing Matt Wilson’s gorgeous work over Chris in the Superman story that just came out, maybe I was wrong. You decide!